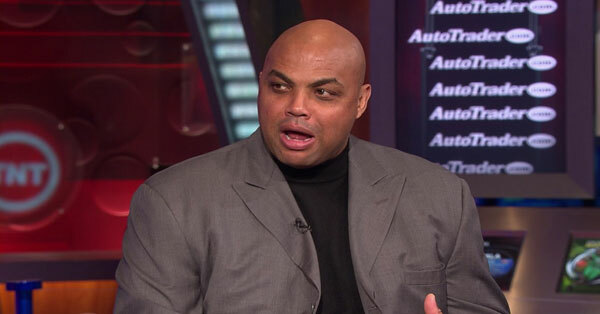 Admitting he “overreacted,” Charles Barkley apologizes to the Rockets organization. Someone must have sent a powerful message to TNT because Charles Barkley has just done something he hasn’t done in a long time — play nice with the Houston Rockets. Barkley apologized to the Rockets Tuesday night, saying he “overreacted” to two tweets that were made by Rockets CEO Tad Brown and GM Daryl Morey. Barkley had called Brown “Toad Smith” after his tweet that blasted Barkley and referred to Morey as “Daryl Moronic”. See the video below (starting at the 0:45 mark). It’s no secret that Barkley has held a grudge against the Rockets, claiming they still owe him $3 million from his playing days in Houston, and it has skewed his commentary about the team. Barkley has blasted the Rockets at every turn for years, including during their Western Conference Finals run of 2014-15.